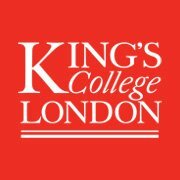 King's College London is a public research university located in London, United Kingdom, and a constituent college of the federal University of London. Supporting Successful Learning in Primary School via FutureLearn 3 hours a week , 4 weeks long 3 hours a week , 4 weeks long 22nd Apr, 2019 No reviews yet. 25th Apr, 2016 No reviews yet. Supporting People Living with Long-term Conditions via FutureLearn 2 hours a week , 3 weeks long 2 hours a week , 3 weeks long 24th Apr, 2017 No reviews yet. Understanding NHS Values: Becoming a Nurse or Midwife via FutureLearn 2 hours a week , 2 weeks long 2 hours a week , 2 weeks long 4th Jun, 2018 No reviews yet. Shakespeare: Print and Performance via FutureLearn 2 hours a week , 4 weeks long 2 hours a week , 4 weeks long 4th Jun, 2018 No reviews yet. 10th Sep, 2018 No reviews yet. The Science Behind Forensic Science via FutureLearn 2 hours a week , 4 weeks long 2 hours a week , 4 weeks long 10th Sep, 2018 No reviews yet. Integrating Care: Depression, Anxiety and Physical Illness via FutureLearn 2 hours a week , 3 weeks long 2 hours a week , 3 weeks long 14th Jan, 2019 No reviews yet. Introduction to Nursing: The Role of Nurses Around the World via FutureLearn 3 hours a week , 4 weeks long 3 hours a week , 4 weeks long 25th Mar, 2019 No reviews yet.